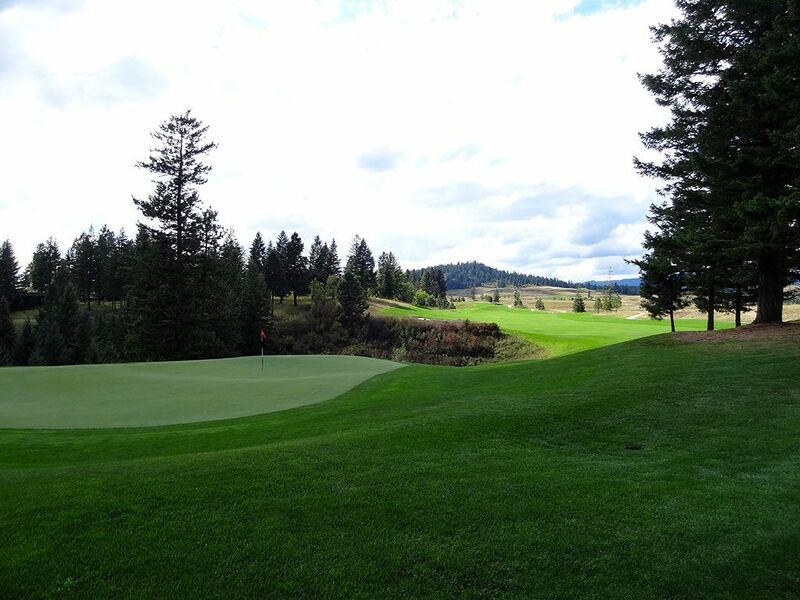 Course Website: Official Website - Visit Rock Creek Golf Club Idaho's official website by clicking on the link provided. 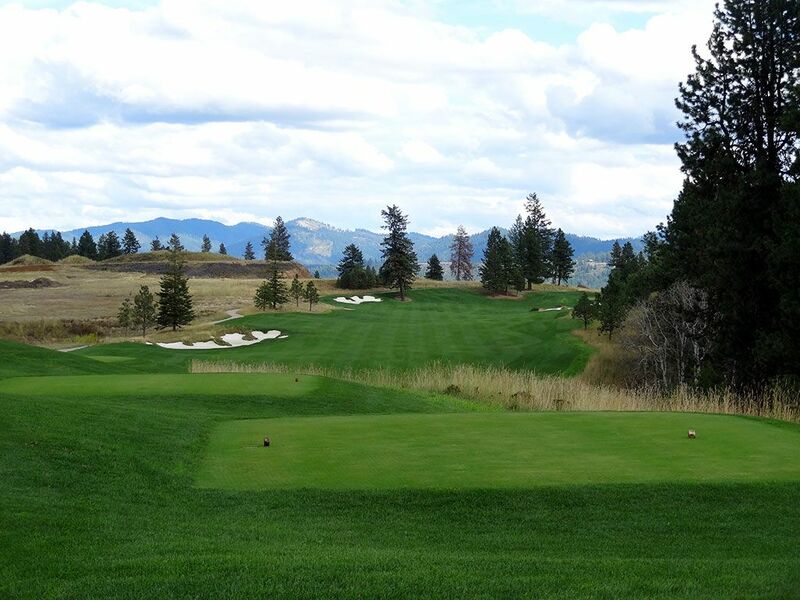 Accolades: Ranked 3rd in Idaho on Golf Course Gurus' Best in State list. 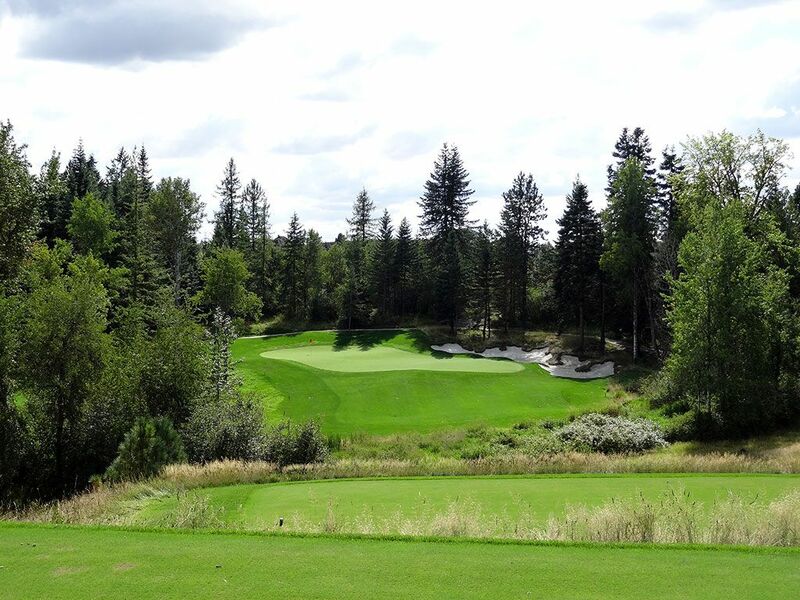 What to Expect: Located on the bluffs above stunning Lake Coeur d'Alene, Rock Creek is a dramatic Tom Weiskopf design that capitalizes on the Northern Idaho scenery and terrain. The front nine features a more open feel while the back nine is carved through the trees and delivers a totally different experience. Unlike across the street at Black Rock that features bentgrass fairways, Rock Creek elected to utilize bluegrass fairways which helps the ball sit up a bit more thus providing more forgiving lies for the members. The plethora of camouflage style bunkers, reminiscent of Dr. Alister MacKenzie's work, are very attractive as they offer visual appeal, challenge, and depth to the course. 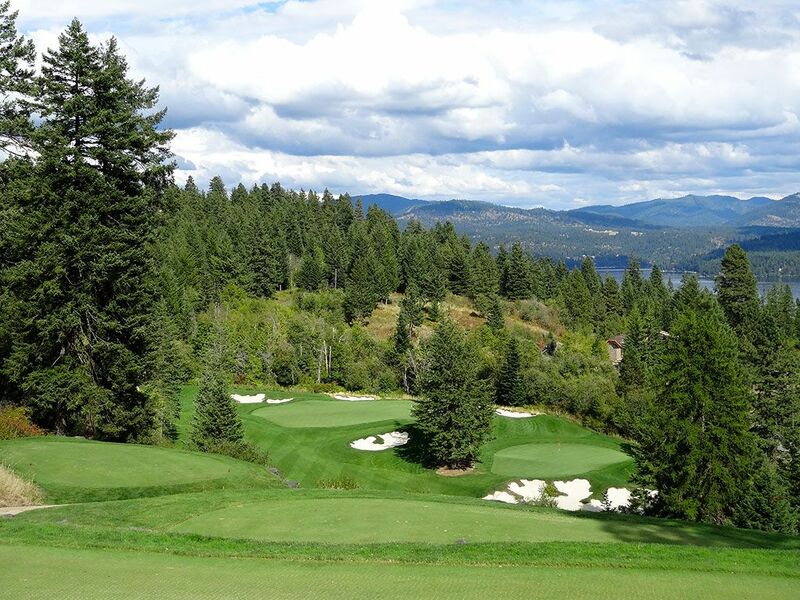 The course reaches its most dramatic point midway through the front nine when players find themselves on a bluff with views of Lake Coeur d'Alene to the right and two different greens below them in which to select from when playing the par three 5th hole. Tom Weiskopf is one of the best in the business when it comes to designing courses in mountainous settings and Rock Creek very well his best. Signature Hole: 5th Hole – 236/199 Yard Par 3 – This is simply one of my most favorite par threes I've come across. While multiple tee boxes is commonplace, multiple greens is still a very infrequently used design element on golf courses. 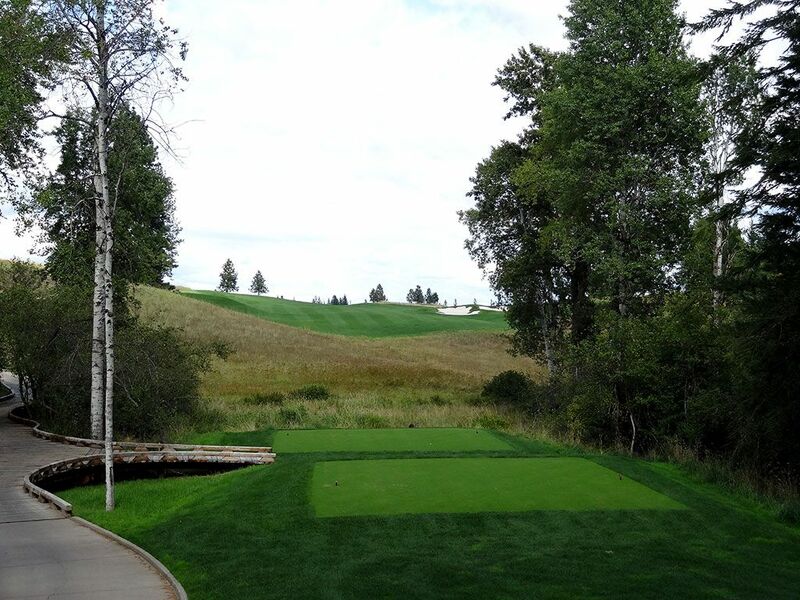 The local rule at Rock Creek Idaho is that the player with the honors heading into the 5th hole decides which green the players will be attacking; the shorter green on the right or the more lengthy target on the left. 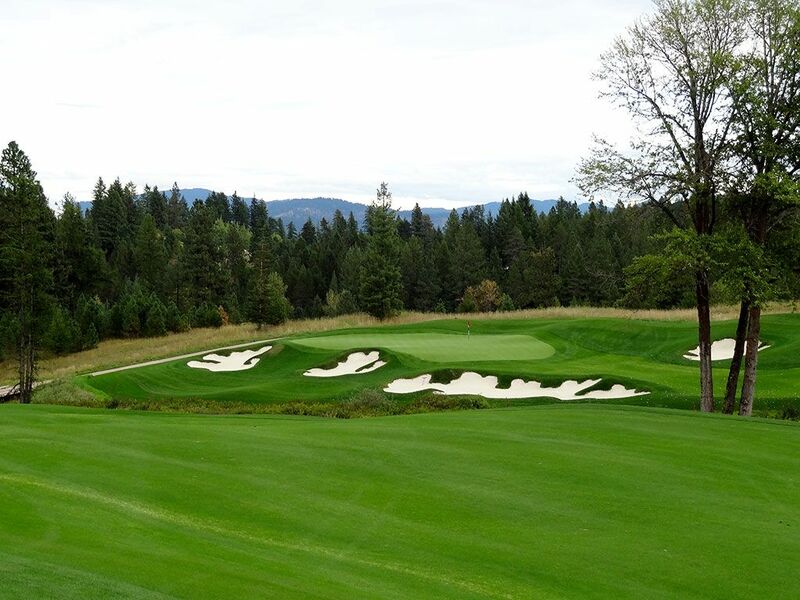 The view from the elevated back tee box truly is spectacular with Weiskopf's artistic bunkers framing the greens while northern Idaho's natural evergreen trees cover the landscape above beautiful Lake Coeur d'Alene in the background. Both greens feature tiers in the front third and add to the overall appeal and challenge of the hole. 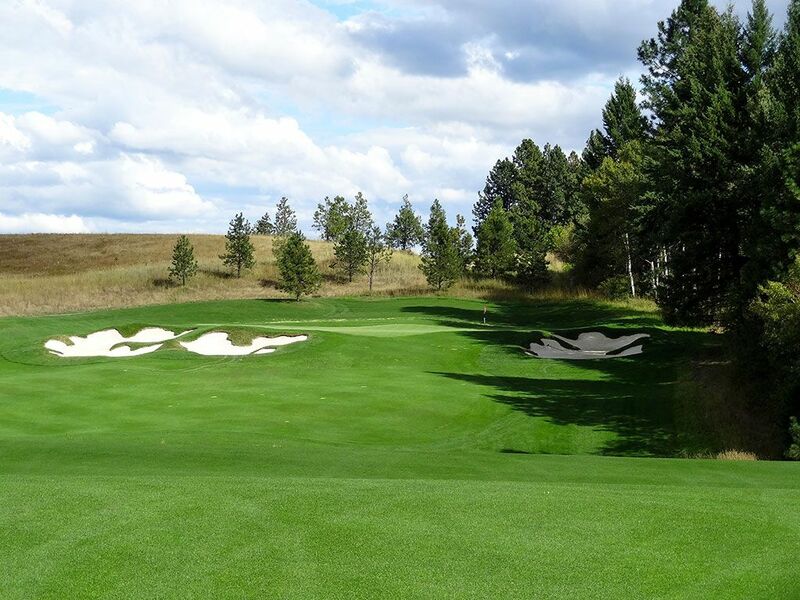 Best Par 3: 2nd Hole – 209 Yards – The first par three at Rock Creek Idaho is a challenging one-shotter with a large tier bisecting the green thus effectively creating an upper left shelf that poses a significant challenge for golfers to attack. The green sits in an amphitheater of trees with a large bunker complex to the back and rear of the green. The shaping and undulations found in the green create significant intrigue and appeal to this hole. Best Par 4: 3rd Hole – 479 Yards – This lengthy par four plays uphill to a wide fairway where extra length up the right side will pay dividends. The approach shot plays to a raised green that is protected by bunkers on each side and a forest of trees on the right. The green is blind from the tee as players can only see a fairway up the left side and a bunker on the right. As mentioned before, players bombing it up the right side over the bunker will make reaching this green in regulation a much high probability. 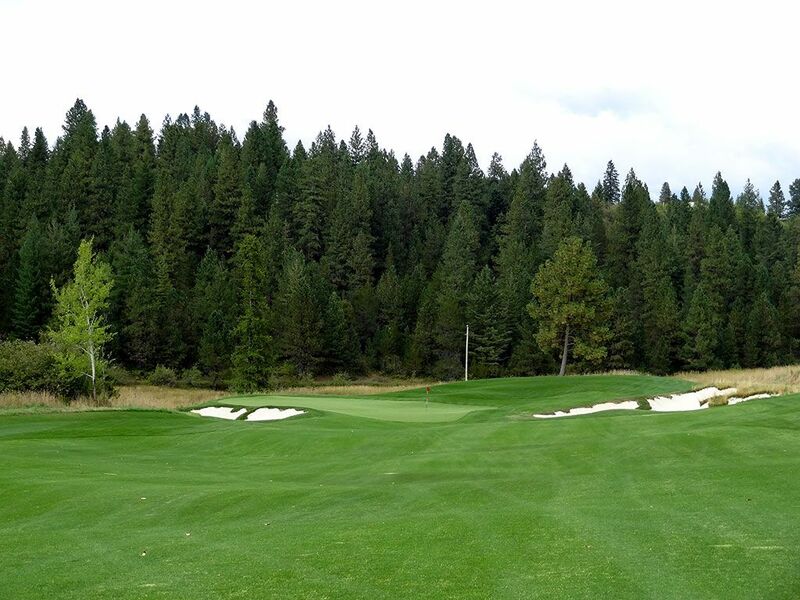 Best Par 5: 4th Hole – 597 Yards – Unlike most courses, Rock Creek Idaho comes right out the chute with several great hole and the 4th hole is among the best. 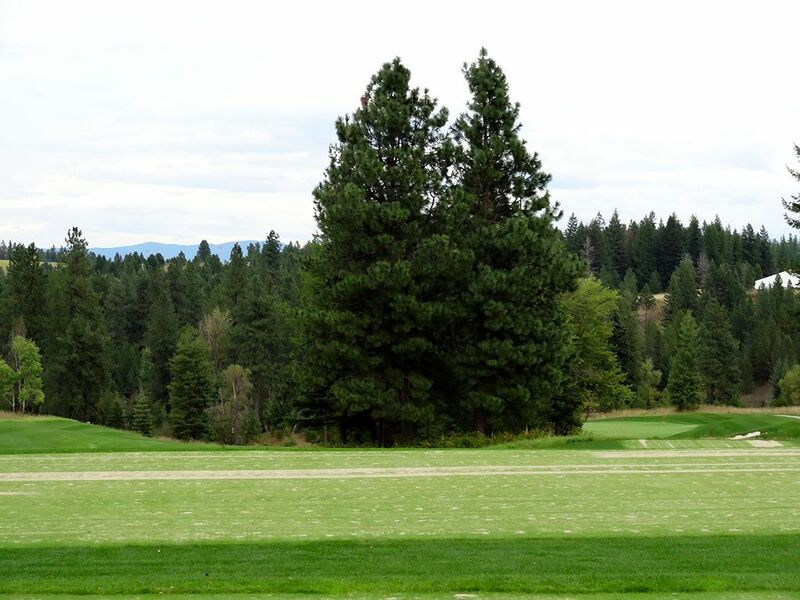 While the tee shot is fairly unassuming, the approach shot to the green is one of the most memorable and exciting opportunities in Northern Idaho. The terrain slopes from left to right and the green is perched into the hillside with a bunker right of the green being the only chance your ball has to stay alive is your approach leaks right of the putting surface. Players can see for miles beyond the green which adds to the cliffhanger nature of the green and heightens the senses when trying to work your ball in from the left. Birdie Time: 16th Hole – 387/358 Yard Par 4 – Weiskopf always incorporates a driveable par four in his courses and the 16th hole is where you find it at Rock Creek Idaho. A cluster of trees sit just beyond the tee box and create a clear separation between the two fairways players have an option to pick from. Playing down the left side is the safe play however it does still require players to hit over a small ravine to reach the green and it isn't the ideal angle. Playing down the right side requires a sizeable carry and with enough power opens the possibility of your tee shot tumbling down the hill and onto the putting surface. Even if you don't have the length to reach the green off the tee, it is short enough that all players should be looking to take a stroke back from old man par. Bogey Beware: 13th Hole – 497 Yard Par 4 – Nearly 500 yards for a par four should be intimidating no matter what your skill level is but add in a hard dogleg and significant bunkering and you have the most challenging hole on the course. The dogleg is protected by large trees so challenging the corner becomes a very risky proposition and will force most players to just play the hole down the center. Left is dead throughout the hole and a small false front can reject weak approach shots so you have to be on your game from tee to green. In the end, the main goal here is to minimize your score to a bogey and get out of there.